Haustier Haus schön und weich Innenraum mit Snoopy gefüllt. 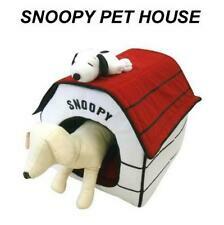 Erdnüsse Snoopy Dog House Bett mit Snoopy gefüllt Plüsch Indoor Portable faltbar. Unten finden Sie eine automatische Übersetzung ins Deutsche. Usato per il seggiolino auto generale prima o dopo. 1 x auto della sede del sacchetto per il cane. - Colore: Grigio. - Facile da lavare, e facile da asciugare. - Built-in cinghie regolabili rendono per l'installazione in quasi qualsiasi veicolo un gioco da ragazzi. 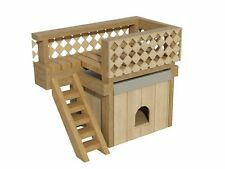 Large Outdoor Dog House Plans DIY Wooden Pet Kennel Kennel With Covered Porch These plans will show you how to build this large dog house with a covered porch step by step. The material list is included. This large dog house is designed to accommodate the large breeds such as : Great Dane, Mastiff, Bull Mastiff, Neapolitan Mastiff, Newfoundland, Dogue de Bord eaux, Cane Corso, Great Pyrenees, Bernese Mountain Dog, Tibetan Mastiff, Black Russian Terrier, Leonberger, Irish Wolfhound, Scottish Deerhound and other mixed breeds that are very large. I will email you a PDF to the email address you provided to PayPal so you can print them out any size. If you wish hard copies on 8 1/2 X 11 paper mailed to you as well, please indicate this when you purchase. All plans are designed by Ben Stone. Ben is a retired Engineer in Canada. Dann sind Sie hier genau richtig. Zudem ist der Bodenerhöht und liegt so nicht direkt auf dem Untergrund auf, wodurch eine längere Haltbarkeit durch Schutz vor Bodenwasser erreicht wird. Zudem wirkt die Luftschicht zwischen Untergrund und Hüttenboden isolierend- Ihr Hund liegt also nicht dirket auf dem Erdboden. Isolierung für Trixie Natura Flat Roof Kennel (39553 - Large) aus strapazierfähigem Polyester mit Schaumstoffpolsterung idealer Schutz vor Kälte und Feuchtigkeit Klettverschluss zum einfachen Befestigen Bitte beachten Sie: Kennel ist nicht enthalten Diese Isolierung passt für Trixie 39553 Natura Flachdachhundehütte L (116 x 82 x 79 cm) . Isolation pour chenil à toit plat Trixie Natura (39553 - Grand) en polyester durable avec rembourrage en mousse protection idéale contre le froid et l'humidité fermeture velcro pour une fixation facile Remarque: le chenil n'est pas inclus Cette isolation s'adapte aux chenils Trixie 39553 Natura pour chiens à toit plat L (116 x 82 x 79 cm) . Usato per seggiolino auto generale prima o dopo. - Colore nero. - Built-in cinghie regolabili rendono per l'installazione in quasi qualsiasi veicolo un gioco da ragazzi. - Facile da lavare e facile asciugarsi. 1X Plastic Dog Kennel. • Quality durable plastic construction. • Raised floor for better insulation. 750mm Depth x 590mm Width x 660mm Height. • Large door for easy entry. Material：Plastic. Door size. The Double door also affords you more opportunities to fit larger crates easily in your existing rooms or vehicles, a composite plastic pan for easy cleanup in the event of an accident. Material:Super soft cloth Inner:Brush Fabric Color:Randomly Size: S appr.35*30*55cm M appr.40*35*40cm Quantity:1pcs Tips: With a washable and detachable cushion at the bottom,no need of electricity to keep warm The bed was folded when you get it. Please Note: Due to hand measure, the size may have 1-2 cm error Due to Different Monitor, the color may have difference. Children's Play Teepee Thick QUALITY fabric with bamboo poles 6' tall! SUPER high quality teepee! Thick quality fabric with bamboo poles! EASY TO ASSEMBLE – Easy assembly is a must with impatient kids. Our teepee assembles in minutes with our step-by-step guide. The teepee is supported by 4 wooden poles that allow for stability and support. This tent works great on any patio, lawn, balcony, deck and more. Included is a convenient carrying case that makes it easy to bring your tent with you wherever you need to go. Order your pet habitat today and let your pet enjoy the outdoor world in peace and safety. This tent works great on any patio, lawn, balcony, deck and more. Included is a convenient carrying case that makes it easy to bring your tent with you wherever you need to go. Order your pet habitat today and let your pet enjoy the outdoor world in peace and safety. Helpful Troubleshooting Tip If you are having trouble opening your tent please ensure the fabric that secures your tent to the poles and opening mechanism is not covering the joints on the tent poles. offers additional protection from wind, rain and cold . Color: Dark Green. Size: Width 58 × depth 74 × height 75 cm. FURRYTAIL BOSS Cat Boss Fiber Spinning Pet Nest White Minimalist Interactive Pet Bed from XIAOMI YOUPIN. Material ABS, PP, fiber lining. Glass Double Cat Bowl ID:1430551. Flamingo funny cat ID:1431100. Usato per seggiolino auto generale prima o dopo. 1 x Borsa Car Seat per il cane. - Facile da lavare e facile asciugarsi. - Built-in cinghie regolabili rendono per l'installazione in quasi qualsiasi veicolo un gioco da ragazzi. Doux, chaud et confortable et va partout. Maison de chat pour chien lavable et détachable. - Le coussin intérieur est amovible et lavable, facile à nettoyer et à entretenir. - Tout neuf et de haute qualité.